Here are my latest reads for the Picture Book Reading Challenge. These are my choices for # 13 a book celebrating music (Sing-Along Song), #30 a book about trains or planes (Those Magnificent Sheep and Their Flying Machine), #41 a series book (Buddy & Earl), #47 a book published in the 1980s (Jamberry), #51 a book published in 2017 (Mama, Look! ), #61 a book written or illustrated by LeUyen Pham (Before I Was Your Mother), and #85 a song (The Twelve Days of Christmas). This book has such a cheerful feeling, and both Miss Muffet and I enjoyed hamming it up as we sang out, "I just gotta sing along!" each time it was repeated in the text. 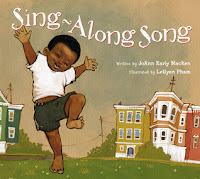 Though I didn't end up using it at story time before it was due back at the library, it has a great rhythm for reading aloud, and I liked it more and more each time I read it at home. I stumbled upon the transportation section of the picture books at one our of libraries and snagged a bunch, including this quirky British story about curious sheep who inadvertently steal an airplane. I like the rhyme and the pictures, and enjoyed the quick mentions of various countries and landmarks the sheep visit. I also loved their names: Uncle Ramsbottom, Lambert, Ben, Babs, etc. I think it's a bit much for Miss Muffet at age 3, but I think slightly older kids, maybe ages 5 to 7, would find it humorous. I borrowed all three available titles from this series from the library, and Miss Muffet and I have both been laughing ourselves silly over them. 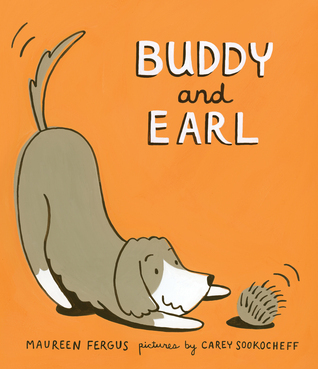 In this, the first book, Earl, a hedgehog is brought home to live with Buddy, a dog. 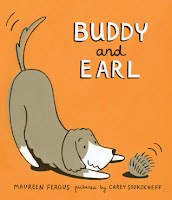 After spending a lot of time trying to convince Buddy he is such things as a race car and a hairbrush, Earl introduces Buddy to a world of make-believe that causes some trouble, but is also a ton of fun. "Odd couple" type stories are very common in picture books and easy readers, but this unique friendship is pleasantly, refreshingly different. I revisited this book recently for the first time in over 5 years and liked it much more than I ever have before. Bo Peep became completely obsessed with the pictures as well as the rhythm of the text, and when the book is available, she asks for several readings right in a row. Miss Muffet also liked it, and she was making connections between it and other berry books we know, such as Blueberries for Sal. I received a finished copy of this title from Little Bee Books, and I fell in love with it right away. The story is circular. A boy with his mother notices a grasshopper, who notices an ant. Animals continue to notice each other until a bee near the end of the story notices the baby the mother has been carrying on her back, who was not visible on the first page. This book didn't do as well at story time as I had hoped, but I think that says more about that particular audience than the book. 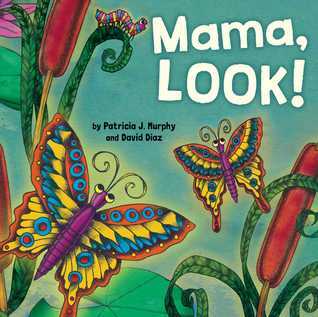 The colorful illustrations are very eye-catching and the simple text makes it easy for non-reading kids to chime and begin to "read" based on the illustrations and their memories. This one is going in our keep pile. LeUyen Pham is one of my favorite illustrators, so of course I was drawn to this book. The concept of the book has been done before (in This Quiet Lady by Charlotte Zolotow), but it was appealing to me as a mom and to Miss Muffet who is a child who thinks a lot about what adults were like when they were young. Reading this book actually prompted Miss Muffet to ask if she could see a picture of her grandma as a little girl! I thought the mom was a bit frumpy-looking in the pictures, and I wasn't sure why, but I like the way Pham portrays emotions through facial expressions and ultimately enjoyed the book. 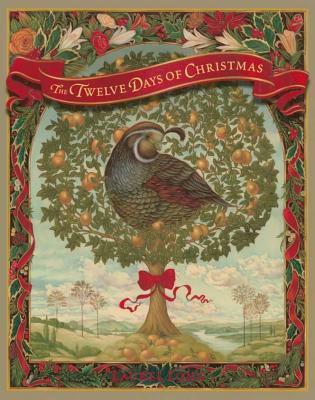 This beautifully illustrated book could keep a child busy for hours, as each item named in the song appears on each page on which it is mentioned. Reading the book through just to sing the song is not nearly enough to get the full experience. This is a book that truly has to be savored to be enjoyed.